The Board of Investment (BOI) of Sri Lanka has opened a ‘one stop’ service centre at the Magampura Mahinda Rajapaksa Port – a.k.a. the Hambantota International Port (HIP) – to provide investors in the southern port easy access to concessions open to them. 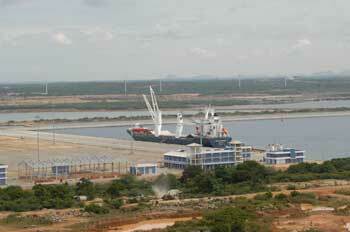 China Merchants Port Holdings Company, a conglomerate based in Hong Kong, operates the southern part of the port. Investors are expected to have access to all incentives and facilities that the BOI offers at the newly opened centre. The move is also expected to facilitate the development of the port, as well as connect Sri Lanka with global trade and commerce from the southern part of the country. The vision of the HIP is to make the port known as more than a mere destination for sea vessels, and in terms of its commercial and marine services, and lifestyle concepts, as well.